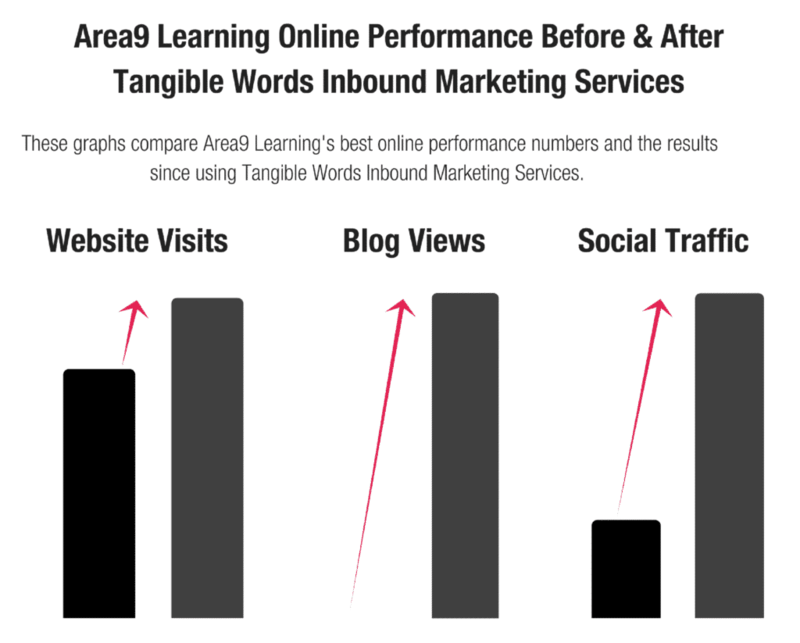 Area9's Inbound Marketing Soars in 1st Month! Hubspot certified partner and inbound marketing growth agency, Tangible Words, leads Area9 Learning’s online marketing. In their first month going live using Tangible Words-generated content Area9’s social traffic jumped by 230%. Before Area9 Learning started working with Tangible Words, the company was using Hubspot but not getting the results they desired. But after one month in contract with Tangible Words, Area9 started getting more qualified leads and a stronger reputation online. Enticing “Call To Action” Content helping potential buyers move through their Buyer’s Journey in a way the shopping user prefers. 29% Increase in Website Traffic After 1 Month. 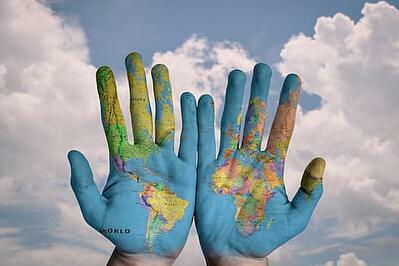 By adding inbound marketing services, website traffic blew past their previous best month. Social media monthly clicks and Interactions increased by 230%. With a stronger social media presence, Area9 Learning can expand their reach to wider networks. Help your target persona - before they even realize they need help. 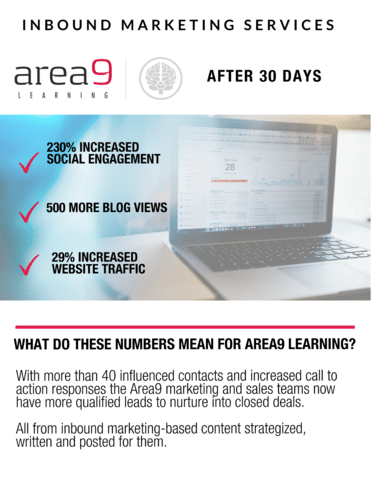 With the right software and strategy, targeted Content Offers (well executed) create Qualified Leads for Area9 Learning’s sales team.